Lila from Letters from Rungholt straight to the point of just what lies in the core of creating lasting peace in the near east: do away with terrorism – for absolutely everybody’s sake! The PA needs more than hatred and bombs. It needs infrastructure and a strong entrepreneurial sprit. Plus a strong, peaceful partnership with its neighbor Israel, I personally would like to add. Can you imagine that? Can you imagine sending your child to school knowing that at any time, with only fifteen seconds worth of warning, a rocket might strike their school bus on the open road? Maybe if we stopped seeing Israel as a faraway backwards country but as the western society – just like our countries – we could start to grasp the meaning. These are people like you and I. These are teenage children like all the noisy ones you meet on the bus every day. Smart, sometimes withdrawn but good kids. They have dreams and they have plans for the future. And they live with that knowledge deep in their head that in just a few years’ time they will be soldiers. Can you imagine that? Can you imagine raising your children with all the love in your heart, keeping them as close and secure as you can only to see them become part of a tide of soldiers. While you and I went to university, founded a home and started a family these young people spent years armed waiting for what seems to be the unavoidable conflict that strikes generation after generation. They are young adults like all the ones you find swarming the bars and the parks. They do not want to go to war, to see these things. They want to get going with their lives; to travel, to study and to move in with their boyfriend. They are into fashion and the latest hair styles, they are into sports and technology and music – not into guns. Don’t get me wrong. The situation in Gaza is so disgraceful I am out of decent words to describe it. It is almost surreal to imagine that boarder, on the one side a cruel dictatorship, unimaginable povery and an infrastructure that most closely resembles that of some godsforsaken African tribal lands fifty years ago. On the other side a high-tech civilisation with one of the highest overall levels of education and technology utilisation in the world. How can the two of them possibly even exist on the same planet, let alone only a stone’s throw away? But nonetheless it is reality. But what the Frigg is Israel to do? It is not the shut border crossing, that is the problem. The problem is Hamas, a terrorist regime almost as bad as the Islamic State next door. Opening those borders won’t change a thing for Gaza residents but it will allow more weapons to be built, more deaths, more warfare. Have you ever thought about it, why it is Egypt that has completely shut down their border crossing at Rafah and is on a crusade against smuggler tunnels right now? Why they are going as far as bulldozing their own city of Rafah? Those are their Muslim brothers after all, Egypt has no motive for cutting off Gaza other than the safety of its own territory and population. If it was your country, would you tolerate your children driving to school under rocket fire or not being able to go to school at all? Think of European countries in turmoil, of brutal regimes taking over strips of land adjacent to your own border. Use your fantasy. What would you want your government to do? Think about it. Think about what the US Americans did to Afghanistan and Iraq, on the other side of the world, after a single terror attack. Think about military intervention in Syria and Iraq against Islamic State just because governments are worried of future terror attacks on their own soil. Think about what our governments are doing to other countries without any proven danger to their civilian populations whatsoever. Think about that and think about the boy riding the bus to Sderot every day before you demonise Israel. The cache of spy cables recently released by al Jazeera – and copied by most western news outlets – seem to be but the latest in a series of leaked intelligence sources. This time though US American agency mostly get a break with South Africa and the all famous Israeli intelligence service Mossad at the centre of it all. A secret cable obtained by Al Jazeera’s Investigative Unit reveals that Mossad sent a top-secret cable to South Africa on October 22, 2012, that laid out a “bottom line” assessment of Iran’s nuclear work. Little surprise the report was passed on throughout media outlets around the globe seemingly proving Israel’s (or at least its prime minister Netanyahu’s) warmongering using false threats against a nation that might have the rhetorics but not taken the actions to be a threat. I have to admit it did raise my eyebrows too. Frankly, I did not know whether to laugh or cry about it. A water sucking plant in order to dry out the Nile? Seriousely? This one fits right in with the old rumour about Mossad handing out libido enhancing candy to faithful Egyptian wives so as to undermine the fabric of their Muslim society. Do people actually believe these things? And more importantly: How did a fairy tale like this end up as a classified spy cable right out there with the really juicy stuff? Intelligence agencies thrive on impressing politicians and the public with their mystique, exploits real or imagined, and possession of information that supposedly gives them a unique understanding of the world. In the world of espionage, today as in the past, spies peppering reports with half-truths, rumours, the outlandish and the downright ridiculous is par for the course, the secret cables show – and not that remote from the lucrative fantasies and inventions of Graham Greene’s fictional MI6 agent in Our Man In Havana. So while, yes, I can absolutely see a character such as Bibi Netanyahu right out ignoring the intelligence he is given if it is inconvenient for his own agenda this particular one just does not add up. 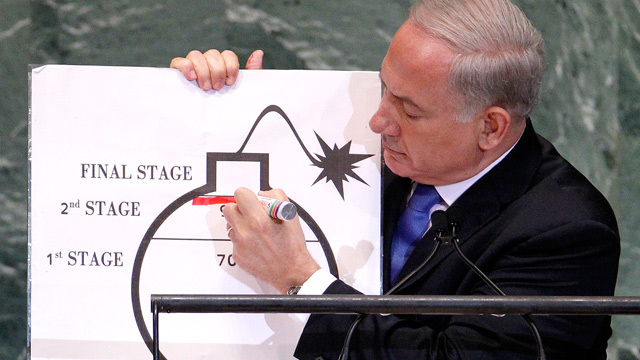 Yes, Netanyahu might well have been exaggerating the threat in order to make his point. But there being no conceivable treat whatsoever, no sign for a non-peaceful nuclear program at all in Iran as the cable suggests? 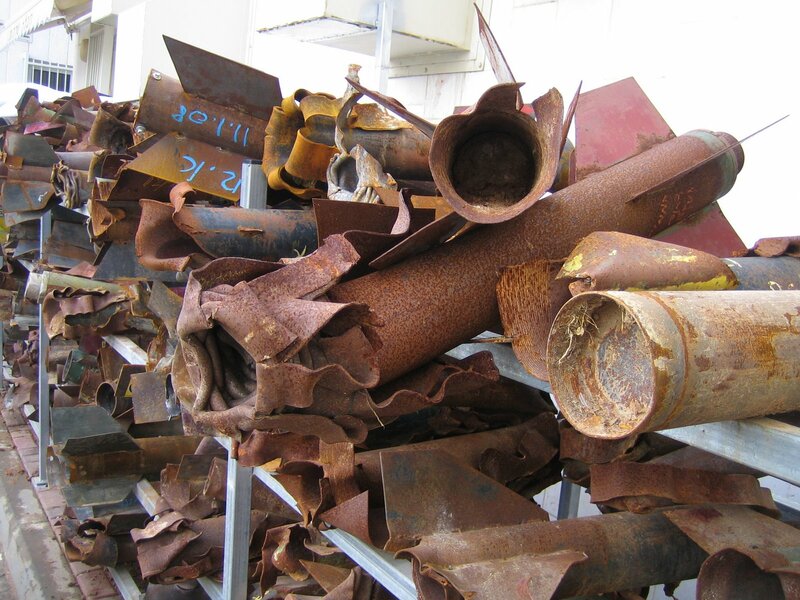 It just does not quite fit in with the activity we have seen around the Irani nuclear program – such as the Stuxnet worm targeting Irani nuclear centrifuges just to name an example. Also we need to remember that intelligence agencies the world over are adapt at placing misinformation or intentionally “leaking” material. The al Jazeera article itself hints at a schism between Mossad and Netanyahu, quoting former head of Mossad Meir Dagan’s concern about the prime minister prematurely embarking on war with Iran which he thought was “a stupid idea”. There is ample motive for the agency to distribute de-escalating material if they indeed have come to mistrust Netanyahu. It is simply careless to be dismissing Iran as a nuclear threat to Israel just yet without doing our homework on this leaked so-called “intelligence”. As usual in Israel there as more to it than meets the eye. Since I did not get around to writing a post that lives up to the anniversary I will substitute Wren’s because I don’t think I could have written it any better. It is very easy to demonise Germans for the Shoah and comfort ourselves with the idea that “it” can never happen again; it is a lot harder to start thinking about the idea that the Shoah did not exactly happen in a vacuum. As a nice lady in Yad vaShem once told me: This is not about finding more people to blame, after 70 years we should really be moving past blame. It is about understanding why it happened so it will not happen again. Garfield, 2004: 509, Our Hidden Lives, Random House, London. Yesterday marked 70 years since the liberation of Auschwitz, to mark the occasion this week’s Wednesday post is going to be an insight into post-war Britain… and it’s probably not what you’re expecting. I read a book recently about writing historical fiction, the book emphasised the importance of giving your characters era appropriate attitudes. When you’re writing characters that lived many years ago you have to understand and accept that they’re not going to have 21st century attitudes towards equality and discrimination. They’re probably going to be sexist, racist and xenophobic. I was actually going to write this post two weeks ago, following the Charlie Hebdo attacks on 7 January that rocked half of Europe – and quite possibly a good part of the remaining world. 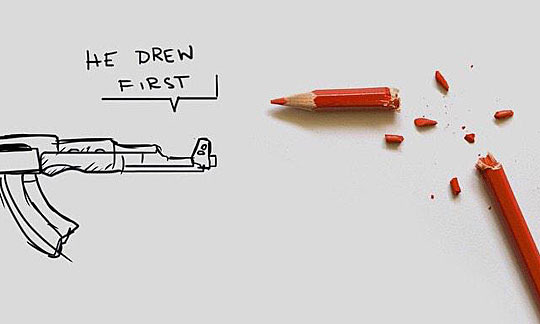 As much as I can relate to the epidemic of “Je suis Charlie” postings on Facebook I could not quite go along with it. Is it okay to ridicule someone else’s believes by publishing caricatures violating every inch of religious feeling? No, it most certainly is not. But it is of course even less okay to decide to go out and kill journalists just because you do not agree with what they are publishing. Just as the famous Voltaire quote goes freedom of speech only works when it is granted even to those we disagree with most. So far for the regular European perspective; the notion of standing up and saying “enough is enough”. But for me, of course, there is more to it than meets the eye. And these things are right at the centre of the themes this blog has always been about: My connection to Israel and her people and my own identity as a European Pagan. As far as the Israeli perspective goes the Charlie Hebdo attacks and the aftermath were a sad wake-up call that radical Islam is a force to be reckoned with even in the very heard of Europe. And to add insult to injury there was, of course, the whole Pallywood circus about how allegedly Mossad directed the attacks in order to blame radical Islam and stall peace talks in Israel. (What peace talks exactly that would be referring to right now and how it could stall them is, of course, a completely different question). The sad truth is that Jews in Europe still do not feel safe. And sometimes I catch myself thinking that no, maybe they indeed should not. In France, I read the other day 50% of all racist attacks are directed against Jews who make only 1% of the population. At the moment there hardly seems to be a week going by without a Synagogue or other place frequented by Jews burning somewhere in Europe; 70 years after the end of Jewish prosecution in Europe Jews still rightfully feel they need extra security for their venues even though they are a tiny little group of “different” people against which there is little to no public outcry. Am I the only European who feels the people of Europe ought to be rallying behind their Jewish population just like they did behind the Charlie Hebdo victims? Yet when another Synagogue burns down it is hardly worth a front-page article in the local news. “Do you know why I care so much about a tolerant Europe?”, I asked my mom the other day. It is because I am Pagan and chances are so will be my children. And with the rise of more self-confident second and third generation Paganism I am convinced that sooner or later we will also be more present in public life. A lot is already happening in the US in respect to recognition and protection of Pagan rights. Europe might right now be a calmer – and safer – place for a Pagan to live but eventually European Pagans, too, will become more visible. Paganism is a completely different beast to all the religions we are struggling to deal with in European society right now. There is a relatively easy way of grasping who and what “the Christians”, “the Muslims”, “the Jews” and even “the Hindus” and “the Buddhists” are. It won’t be so simple with Paganism. We are a way more diverse group; we have no internal organisation worth speaking of; nobody that could speak for all or at least many of us. And of course we have a mindset that is becoming increasingly more different to that of followers of the Abrahamite religions. I see it in myself and also in may others in the Pagan blog sphere; once you have been Pagan for 15 or 20 years you start to feel how you think differently to non-Pagans; how your value system changes. The Wild Hunt for instance just recently posted an article about how Pagan religion afflicts the treatment of mental disorder but it is only a small spotlight on an increasingly different world view. Coping with Paganism as a part of the intercultural mix that is Europe will be a challenge for our society. It will mean that people have to widen their horizons and look behind shared Abrahamite norms in order to allow Pagans in their midst. How are we going to accomplish that if European society cannot even cope with the variety Judaism and Islam add? I feel that I need Europe to become more tolerant so I know my children and children’s children can be the self-confident, strong Pagans that I would want them to be. And ultimately, as sad as it is to think this way, I need Europe to become more tolerant so I will never have to fear for their safety and they will never have to hide their Pagan identity out of fear of prosecution. This morning, as I was sifting through my pile of unread books trying to decide on which one to go for next I found one abandoned right next to John le Carré’s A Perfect Spy. 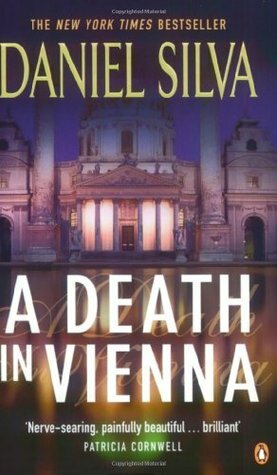 It was the copy of Daniel Silva’s A Death in Vienna my Isareli friend had sent me years ago attaching a note of how it reminded her of “all the talks we had on [her] roof terrace” and how it summed it all up neatly to her. I felt guilty because even though I had promised I never got around to reading it in those rather chaotic years since. Maybe I should have stuck with the le Carré. In the six years (is it really that long already?) I have had this blog I have avoided writing about the Shoah and the way it is dealt with from the Austrian perspective. In part because for a long time I would not have found the words to do so and, for a bigger part, because I did not want this to be a blog that contributed to reducing thousands of years of Jewish – or Austrian, for that – cultural history to a hand full of decades. “They say Austrians are the best diplomats in the world. Because you made the whole world think Hitler was German and Beethoven was Austrian.” he said, challenging me with a smirk of Israeli bluntness. I smiled back, took the challenge: “But why? It is true after all, isn’t it?” Now I have his attention. He could not help but conclude that the rumour about Austrians, after all, seemed to be quite correct. It is true that we Austrians were slack in prosecuting our war criminals, I will not argue against it nor will I defend it. We were no angels, we had our monsters too. And it is true that, just like the rest of Europe, we have the far right creeping into our parliament again and again. Since the recent Gaza war I have even seen an upwards trend in anti-Jewish resentment and the same old stereotypes against “wealthy world-Jewry”. Frankly, for maybe the first time I have started to grasp why some of my Jewish friends have never quite felt safe in Austria. But reading Silva’s views today that, apparently, made him a #1 bestseller made my blood boil with his blatant, uncritical use of stereotype. In a nutshell after introducing Vienna as a place where “men still wear feathered Tyrolean caps [and] women still found it fashionable to wear a Dirndl” (I had to double-check here to confirm the book was actually published in 2003) Silva goes on to describe the Austrian secret service as run by a ultra-right wing maniac not only acting far outside the law but also quite capable of torture and murder in order to cover up for his Nazi friends. And all of that in light of human-rights activist groups that knew about it but nobody would quite listen to them. I had the feeling, sometimes, that he saw Austria as almost of the brink to a second Holocaust at the drop of a pen although that notion might have been exaggerated by my own hurt pride into my homeland. I was in Israel when former Austrian president and UN secretary general Kurt Waldheim died and I remember the uproar vividly. And when I read up on the subject what I found were pages and pages of 1980s Austrian newspaper reports condemning him; I found photographs of a wooden horse being dragged through the streets of Vienna with a plaque around its neck that said “I remember” in reference to Waldheim’s own claim not to remember a thing. And all of that even though even a Nazi-hunter as fierce as Simon Wiesenthal could never find any grounds to prosecute Waldheim for war crimes. I was not ready to attack Kurt Waldheim as a Nazi or war criminal because after looking through all files available to me [I found] he was neither the one nor the other. That is Austria too. The silent majority actually, I will argue. Yes, there are still the elderly that will tell you casually over a cup of tea how “everything was better under Hitler”, our dirty laundry that will not come clean. And yes, there are also the young that once again will tell you the same old story of how “the Rothschilds” apparently somehow control the world. 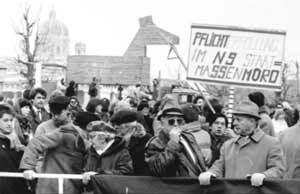 But that is not all Austria is just like during the occupation (I know I will be crucified if not blood-eagled for using the word) the frantic helpers of National-Socialist Germany were not all Austria was. I grew up with stories – little stories, told casually, not as great deeds – of local farmers hiding Jews, of people leaving food out or giving clothes. It was only during my time in Israel that I stumbled upon some of the bigger stories too. 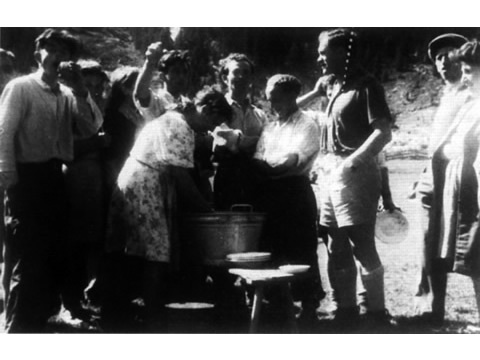 The most documented maybe is that of hostess Liesl Geisler-Scharetter feeding thousands of Jewish DPs on their way to Italy and Israel. Her story, though, is but one of many that were never told outside the family; it is far from unusual for my simple, hospitable people. If you can do those little things, then you do. It is the Austrian nature that we do not care about making a big fuss about those things because to us they are self-explanatory. We do them because they are right, not because of what others will say about us. But then, yes, we also do not care about being heroes either. It is the Austrian nature to hide in the pubs and the homes during hard times and wait until the storm blows over. And if we have to do the occasional Sieg Heil and raise a couple of flags in order to be left alone then, yes, we will do that too. And in our complacency we looked on as Millions were killed, retreating into the comfortable bubbles around us with our fingers in our ears so we could lock out the torment going on around us. Silva, and I realise many alongside him, see a systemic issue where there is none. Are there right-winged nutcases sprinkled all over Austrian society? Certainly. But I cannot for the love of me imagine we have a Manfred Kruz that can get away with killing and torturing in the name of keeping it all under wraps. If there was I am convinced he would find an end not unlike that of the rogue Zalachenko club in Stieg Larsson’s The Girl Who Kicked the Hornet’s Nest; brought to justice by our very own constitutional protection units working within the law and following due process of a modern and just legal system. Frankly, I am sick and tired of Austria being portrayed as a backwater still stuck in 1940s thinking every time attacking Germany becomes unfashionable for one reason or the other. I am sick and tired of the one-dimensional view most of the world seems to have and I know we Austrians make it easy because it is in our nature not to care too much about what others think. Most of us will not raise an eyebrow on reading Silva’s accounts because we do not think it is worth the effort of trying to change how some Americans that have probably never left their own continent see us. My own mum, if she would read this would probably tell me I was wasting my energy – and I guess she is right about it too.